Throughout my first several years of systematic training, I believed the Strength Phase (in which hangboard training is the primary activity) was the most “important” phase. That is, I thought the quality of the Strength Phase was the key predictor of whether the upcoming season would be successful or not. If the phase was flat, I improved very little, or failed to surpass my personal bests on most grips, the season was doomed. If I maintained laser focus during each hangboard workout, saw steady progress, and ended on a high note, I could expect to crush my projects a few weeks later. That theory wreaked havoc on my psyche for years, creating a self-fulfilling prophecy that further reinforced it. If my Strength Phase was good, I would enter the Power Phase with enough momentum to carry me through my Power Phase and eventually onto the rock. If the Strength Phase was poor, I would mail it in for the rest of the season, resigned to muddle through on easier projects. A quirk of fate finally provided the test-case that disproved my theory, though it took me many years to comprehend what transpired. 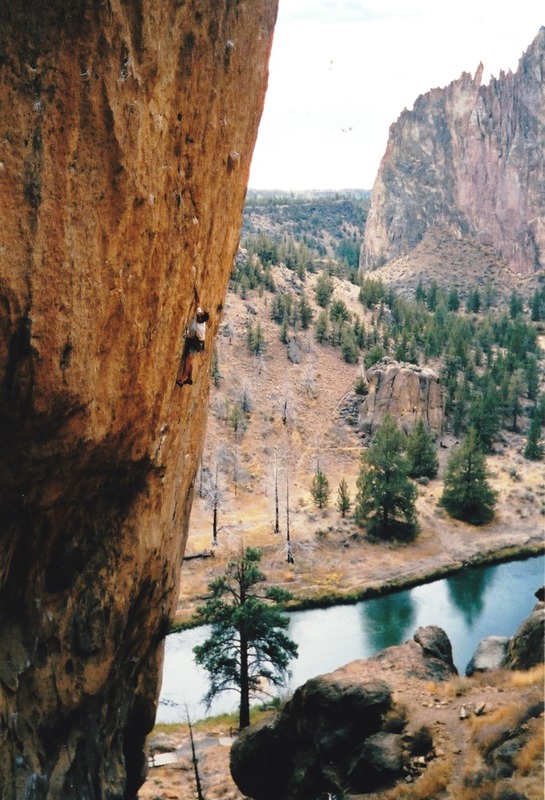 Working my way back into shape in the spring of 2004 on Spank The Monkey, 5.12a, Smith Rock. In the spring of 2004, I trained like a maniac in anticipation of quitting my job and embarking on a year of dirtbag climbing. I had only been training for a few years, and I was still seeing a letter grade or more of improvement each season. I expected to make huge gains, and I did on the hangboard. I entered my Power Phase with new bests on each grip. And then I got the flu. I was useless for a solid week (though I still hauled my infected carcass to the gym a few times in hopes of maintaining my fitness–sorry Albuquerque!). Here was the first example in my career of a stellar Strength Phase followed by a piss-poor Power Phase, and the results were telling. Once I recovered from the illness I resumed my training schedule, but I could tell I wasn’t at my best. Not only had I not improved, it seemed I had regressed. 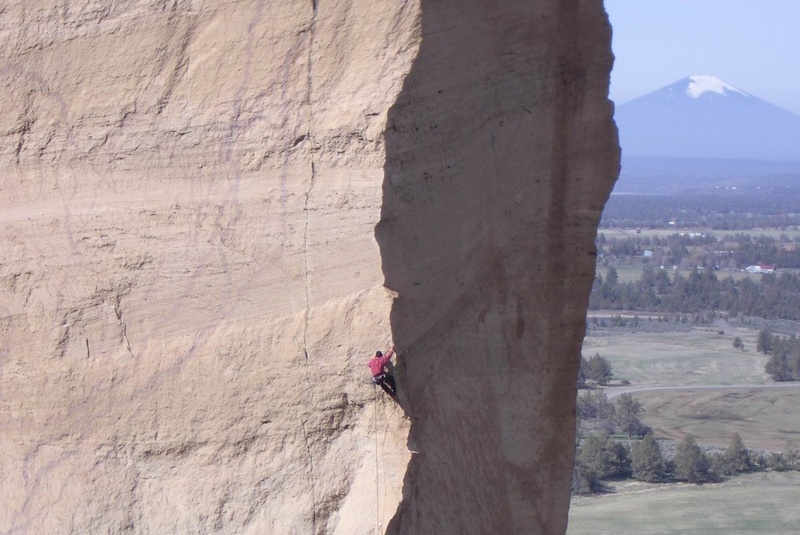 The previous season I sent my first 5.13b, and was close to sending Smith Rock’s Aggro Monkey (5.13b) during a one-week road trip. Now I was completely shut down on .13b, and struggling to climb .13a. For the next month I climbed outside every other day, struggling to regain the previous season’s fitness. I managed to redpoint a pair of 13a’s during this time, and early in the second month I finally sent Aggro Monkey. I was stoked, but I should have managed all of these ascents in the first couple of weeks, if not more difficult climbs. Attempting Aggro Monkey, 5.13b, Smith Rock. Essentially it took me an entire month of climbing outside daily to overcome the lack of an effective Power Phase (had I been working, I would not have had the opportunity to climb so much, and I likely would not have recovered my fitness at all, resulting in another season down the drain). Furthermore, I never demonstrated any quantifiable improvement that season; I trained like a fiend, climbed outside much more than I ever had in my life, and only managed to return to my previous level of fitness. For many years I attributed this disappointment to the flu. But then I had kids. Now I get the flu every year and it rarely affects my climbing like it did in 2004 (despite being older and generally weaker/whiny-er). Over the past several years my goals and circumstances have forced me to push through at full speed to the Power Phase regardless of how the Strength Phase goes (at my age, I can’t afford any more bad seasons!). Since then I’ve had several successful seasons that followed relatively poor Strength phases, and vice versa. Nearly every fall season is preceded by a mediocre Strength Phase during the month of August, in which I’m overweight from riding my bike all summer, and the temps are too warm for optimal hangboard training. And each September, as better conditions return and my weight drops, I’ve managed to get my season back on track. As result, I now believe that the quality of the Power Phase is usually the best predictor of my season’s success (although I don’t believe it’s a hard and fast rule). That spring 2004 season wasn’t derailed because the flu sabotaged my fitness, it was derailed because the flu killed my momentum, distracting me from persevering through the Power Phase. Based on this data, it would be reasonable to predict that my Winter 2011-12 Season would be far superior to my Fall 2011 Season. The reality? In the Fall of 2011 I sent my hardest route to date; in the Winter of 2011-12 I sent one 5.12a, one 13a, injured an A2 pulley, and then spent literally the next 6 months rehab’ing my injury. First, the Power Phase is important because, if you’ve done well, the Strength Phase has created a bunch of big dumb muscles. You should be stronger, but not necessarily capable of efficiently applying that strength to the rock. The Power Phase will hone those big dumb muscles into a well-coordinated machine that can perform with speed and precision on the rock. But foremost, the Power Phase is critical because it is often the ‘transition phase’. This is the period during your training cycle when you shift your emphasis from training on plastic to climbing on actual rock. The beginning of a Transition Phase provides the final opportunity to pour every ounce of will into your training, ensuring you are in tip-top condition before deteriorating skin, weather, and other facts of outdoor climbing interfere. The latter portion of the phase is often the time when you will select, or confirm the season’s primary performance goals. During this time, you need your head ‘in the game’ as much as possible, to focus on training, but also to get your skin in shape, manage body weight, mentally prepare for your goals, obsess over the 10-day forecast, line up partners, and organize other logistics to facilitate effective outdoor climbing from day one. If you’re unable to attend to these matters, it’s easy to find yourself at the wrong crag, at the wrong time of year, with no clear goals, or on a project that is too hard or out of condition. I’ve found that a few bad days early on can sink an entire season, causing me to question my fitness and doubt all the hard work I’ve done, thus undermining my motivation to continue. For that reason, this phase of my cycle is hands down the most important in determining the success of my season. If you’re training for a (relatively) crux-less pumpfest, like some routes found at the Red, the Power Endurance Phase might make more sense as a Transition Phase. Sean Corpron rises again to crush Resurrection, 5.12c. 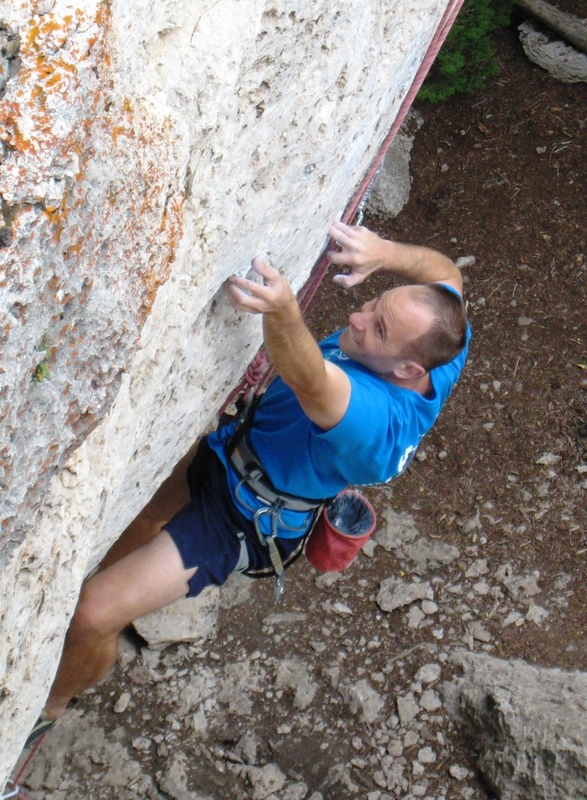 For some climbers, other phases are more critical. 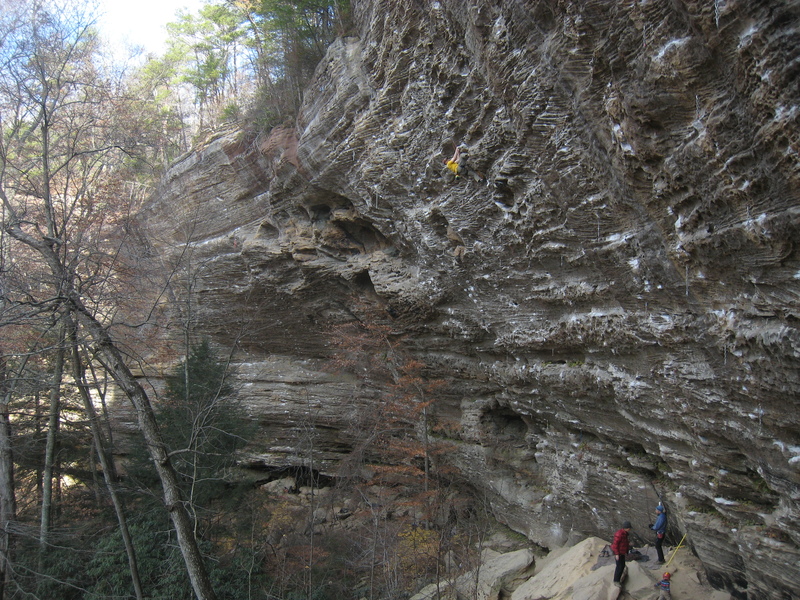 For example, if you climb at a crag like the Red, where virtually all of your projects are long enduro pump-fests with cruxes few and far between, the Base Fitness and Power Endurance Phases will likely be the most important for you, because (from a purely physiological standpoint) you will almost always be limited by your body’s ability to supply energy to tiring muscles. Your Power Phase will probably be minimized, and so the Power Endurance Phase may serve as your transition phase (in my case, by the time I begin my PE Phase I’m almost always neck-deep in my season’s project. During such times motivation and focus are plentiful and it’s easy to summon maximal attention and effort for training, recovery, and climbing). Finger strength will eventually become limiting for the vast majority of performance-oriented climbers. This is not to say the Strength Phase is unimportant. It too is the ‘most important’ season, but for different reasons. While I no longer believe it is an accurate predictor of the ensuing season’s quality, I do believe that for many climbers it is the most critical factor in determining long-term improvement. Unlike some other aspects of fitness, strength is “cumulative”. That is, you can build on your strength from one season to the next. Once a climber has learned and refined the fundamental climbing skills, finger strength will likely determine his or her long-term progress in the sport. Finger strength takes a long time to improve, so it’s important to start early, and stick with it, season after season, year after year. One season of poor strength training every other year will not have an enormous impact in the long run, but if a climber routinely sleepwalks through hangboard sessions, year-in, year-out, their progress over half a decade will be severely hampered. In the end, it may be appropriate to take the Zen approach, that the most important phase is the phase you’re in right now. Each phase is important in its own way, and included in the program for specific reasons. If a phase is worth doing at all, then it is worth doing well, with maximum focus, optimal intensity during training, and proper attention to preparation and recovery. While I’m probably closer to the end of my climbing career than I am to the beginning, I’m still counting on achieving significant improvement in finger strength over the coming years to help me achieve my long-term goals. But I also realize that I’m likely near my career fitness peak, and the time I have near this peak is limited. I still have a lot of routes on my ‘to do list’, so I need to make the most of every individual season (alternatively, a younger climber who takes the long view might decide that near term success is unimportant and solely emphasis long-term improvement through finger strength training). I will continue to strive to get the most out of each Strength Phase in order to realize as much long-term improvement as possible. As the Strength Phase ends, I will stoke my motivation so that I can optimize my Power Phase in order to get the most out of the climbing opportunities that are immediately in front of me. Learn about Designing a Transition Phase here..
You mention that your August strength phase is usually mediocre due in part to your increased weight from cycling, which got me wondering: Do you use the same baseline resistance from season to season? i.e., if your bodyweight averages 150, but you fluctuate up or down 5lbs, do you add or remove weight on every set to keep 150 as your baseline across multiple seasons (not just multiple workouts)? I do not manipulate the added/subtracted resistance based on my current weight. I manipulate the added/subtracted resistance based on what I was able to do during previous workouts (or, based on how strong I am). I adjust the resistance as necessary to achieve failure or near failure at the end of the third set of each grip. My body weight is not considered when I’m making these adjustments, though surely it plays some role in how well I perform during workouts (how “strong” I am). At the end of each workout, I weigh myself and note my weight on my hangboard log sheet. I do this at the end because I don’t want my weigh-in to adversely affect my motivation during the workout (for example, if I’m heavier than expected, I don’t want that to provide an excuse for failing–if you go in expecting to fail, you almost certainly will). I’m told there are people whose wieght fluctuates dramatically between workouts, and so they weigh-in before the workout and adjust the resistance accordingly. My weight generally varies only a few pounds within an entire month of hangboarding (say, from 149 – 152). It’s also fairly consistent from season to season, except that I’m consistently 5-7 pounds heavier during that August phase. Ive actually been weighing in for every set…its ridiculous how much my weight fluctuates within a 10 minute resting period. Almost all of it is water weight but I’ve seen differences of over 3 lbs per set!!! Dude, I think there might be something wrong with your scale 🙂 If that’s for real that is a ton of water(48 oz?) to drink between sets! I’ve actually had a similar experience, I’ve seen 100 grams differences between sets sometimes. Very logical and motivating! Thank you! How do you gain weight from riding a bike? Leg muscle? I was under the impression that exercise that is primarily aerobic in nature was unlikely to cause any significant weight gain. Are you particularly selective on the amount or type of cross training you perform? This should answer your last question. To answer the first question, aerobic exercise can certainly increase muscle mass if you do enough of it. However, perhaps a more relevant consideration for climbers is that such exercise cause your muscles to store significant amounts of glycogen (and therefore water–2 grams of water for each gram of glycogen!) in the muscles trained. I’m told this can amount to around 5 pounds, just in the legs. An equally relevant problem is that aerobic exercise substantially increases your appetite, making it much more difficult to adhere to a proper diet. In my experience the extra cravings far outpace any extra calories burned through the aerobic training.